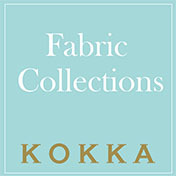 By tallying up the number of orders from KOKKA’s distributors throughout Japan, we release the fabric sales ranking each month in the Japanese-language version of this website. 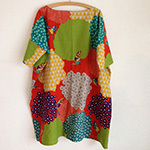 One or more fabrics from “echino” series by Etsuko Furuya always rank in the top 3. 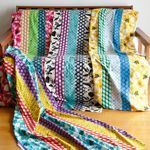 Because of the distinct color scheme called “echino color”, echino fabrics are so popular and used for various sewing projects such as bags, pouches, dresses and so on. 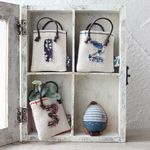 Sometimes we find the creations made of echino fabrics in crafters’ blogs not only from Japan but also from around the world. How wonderful to see that the echino fabrics are transformed into lovely products to be integrated in their living spaces! 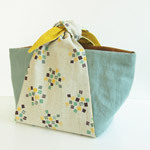 The blue zipper, which is matched with the coloration of the fabric, spiced up this back-to-school item. 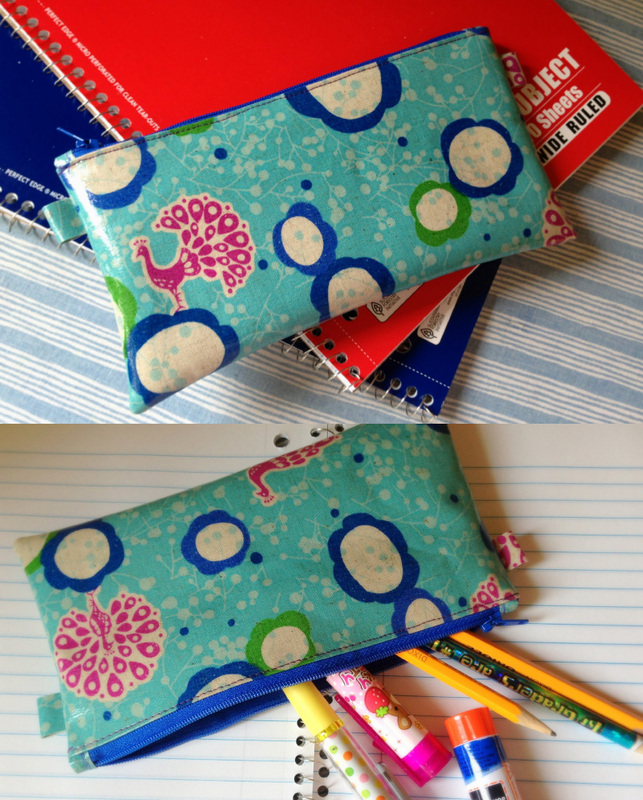 Consequently, the pencil case was stylishly finished. It could be a checkbook wallet in different size. 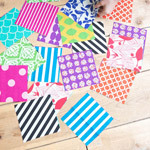 According to her, the pencil case was sufficiently strong without lining due to the thickness of the laminated fabric. 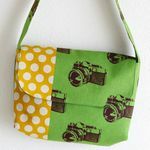 She sewed up the simple product within half an hour. Widerquist has written two blogs in two languages: “HIBI LABO JOURNAL” in Japanese and “Harujion Design” in English. 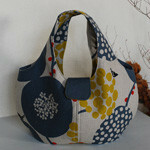 You can see lots of her creations in both blogs, including a body pillow that has recently been posted. Whichever you see, you will just say “remarkable”. Indeed, these are “must see” blogs! 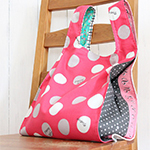 You can also get the sewing tutorials with detailed descriptions from there. Check them out!